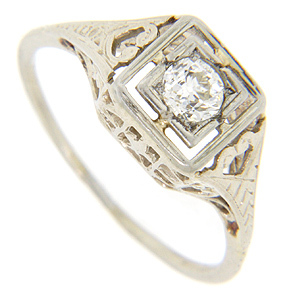 A single .24 carat round diamond is set in this 14K white gold antique engagement ring. 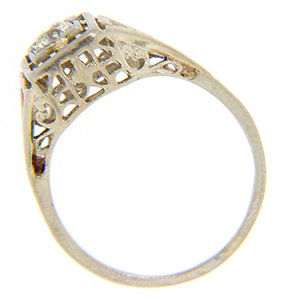 Engraving and filigree patterns provide the ornamentation for this classic art deco era ring measures 7.8mm in width. Circa: 1920. Size: 7. We can resize.